Once again First Presbyterian Church, Waynesboro will offer financial support for the continuing education of needy and worthy students in our community. Scholarships from the Church’s Memorial Educational Fund are available for undergraduate, vocational training and nursing students. Some funds are specifically available for students pursing teaching or religious careers. 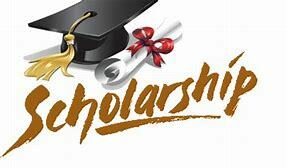 A Scholarship Selection Committee selects recipients each year for varying awards depending on funding availability and the number of applications received. Scholarships are awarded as grants, not loans. APPLICATION DEADLINE: The Selection Committee must receive completed applications and all support information from applicants no later than Tuesday, April 30, 2019. A copy of your most recent high school or college transcript must be included with your application. Late or incomplete applications will not be considered. If you have questions, please contact me at hollybbennett@outlook.com or (540) 943-9844.